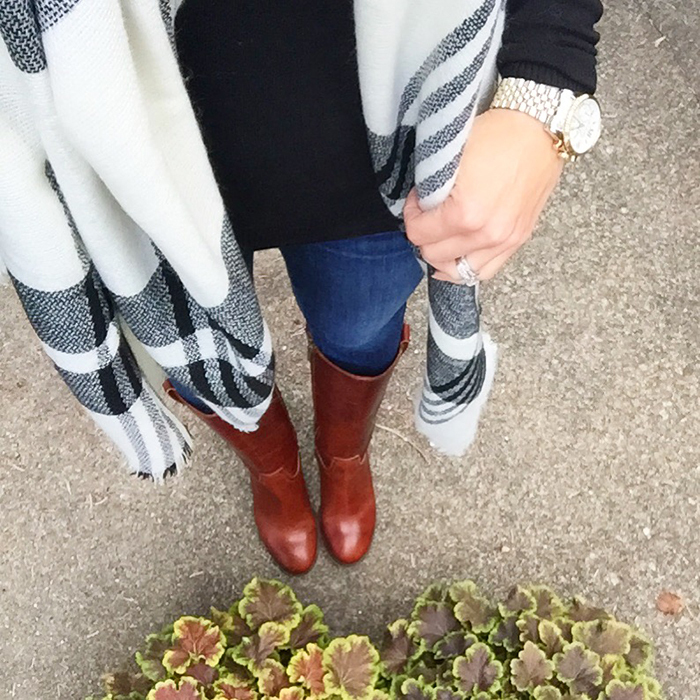 This plaid poncho and tall boots was one of my top Instagram posts this past year. This is my top pinned image on Pinterest. It is on my Street Style board - where I pin what people are wearing for some daily style inspiration. Be sure to follow along with my Pinterest page for more street style or tips. This all black look with denim and neon yellow was one of my top blog posts this past year. 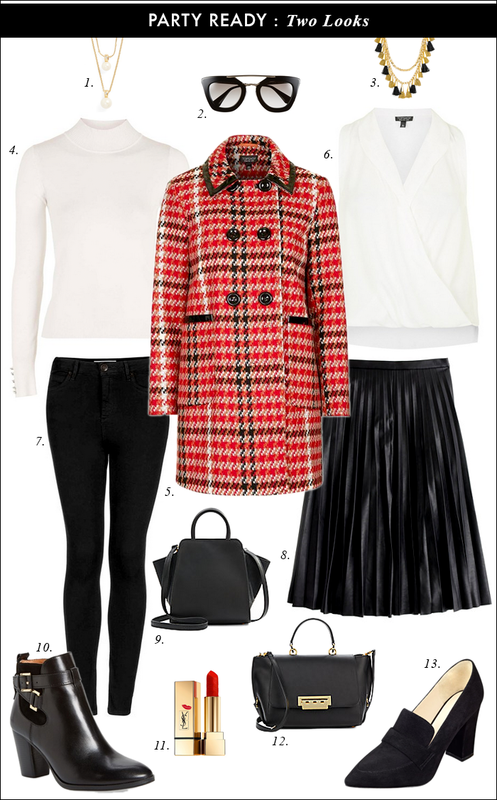 This red plaid coat styled two ways was my top Facebook post this year and could easily be worn for New Year's. Wishing you a Happy New Year! See you next year. My husband does not get blog names - and thinks some of them are just plain crazy - so he said if he started a blog he would call it Hopscotch Butter Dreams. And, I laughed. Love your fashion sense...ALWAYS. I am not sure why you aren't a big time runway model. Remind me??? Your husband's potential blog name is darling. I am going to ask my PC what his would be tonight as soon as he gets home. Fun stuff. Hope to continue to grow our friendship in the coming year. Happy new year! Your husband is funny! Mine would probably come up with a similar idea, LOL. Wishing you all the best for 2016! Thanks for sharing. Happy New Year! You have lovely style, and I always enjoy seeing what you're wearing, or sharing. Your husband's blog name cracked me up. I should ask my husband what he would call his :)! Happy New Year! Your top posts are some of my favorite looks too!! Happy New Year!! You've had some awesome looks this year!! I'm definitely looking forward to see what you bring next year! Such great looks! I especially like the first one...ONE day it will turn cold here and I will get to wear my new cognac boots. I'll try to copy your outfit when that day comes! Tell your husband that I think that's a great blog name! Or to make it more masculine and hip maybe he can call it Dark Urban Threads. Whatever. If he's fashionable he should totally do it! I've said this before, but I love your blog. I can always find inspiration from your looks. Happy New Year! Please, visit my blog and follow me on Instagram. I love all of these looks! I have been looking for a cute poncho to add to my wardrobe this season! I am glad I found you from A pocket full of polkadots! You look great! I LOVE the black and yellow...#gorgeous! !